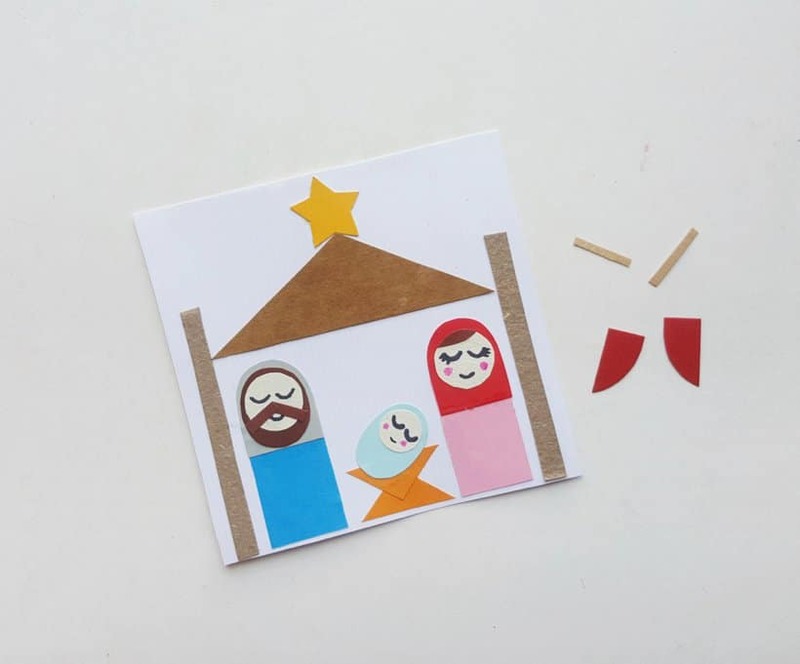 I am loving this simple, yet adorable nativity scene made with paper shapes! 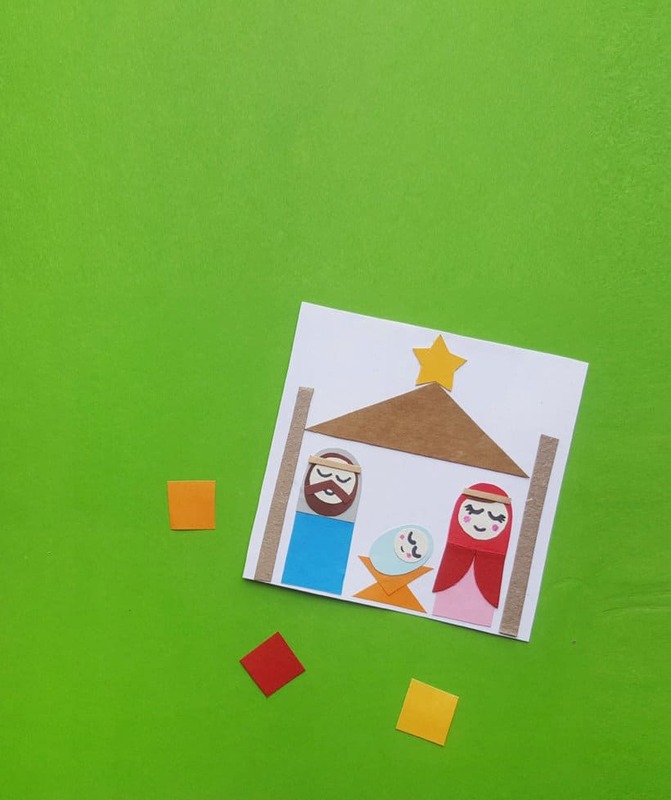 This nativity craft will be fun for the entire family- from young to old! 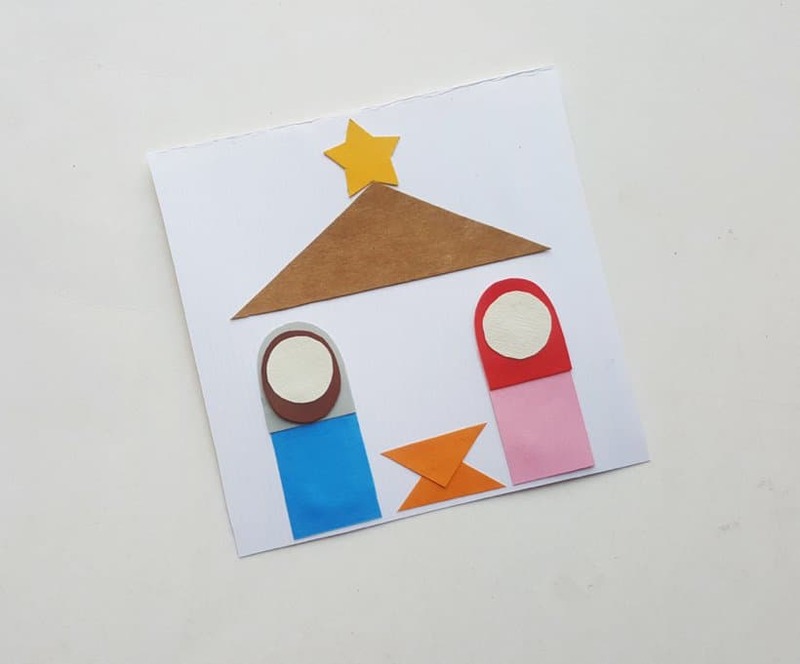 Even young children can make a nativity craft with this fun Shape Nativity Art scene if mom pre-cuts the shapes for the littlest ones! Wouldn’t these make lovely gift tags or Christmas cards too? 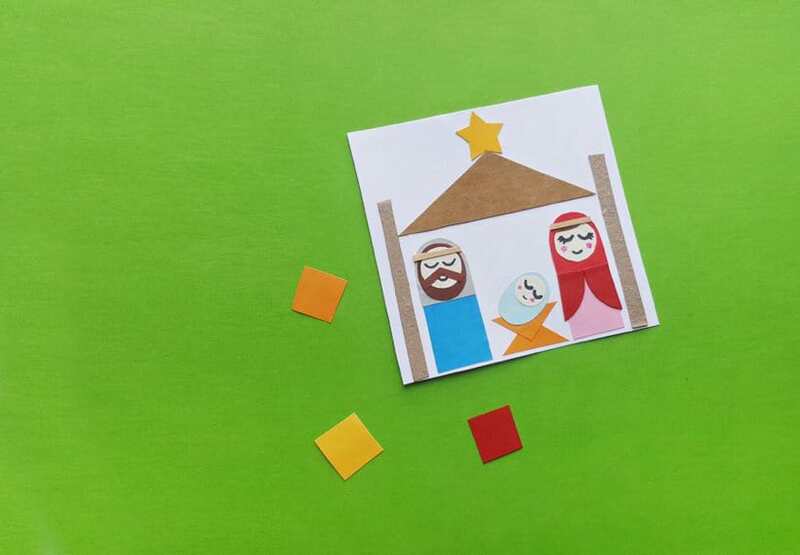 Select colored craft papers for the nativity shape art. 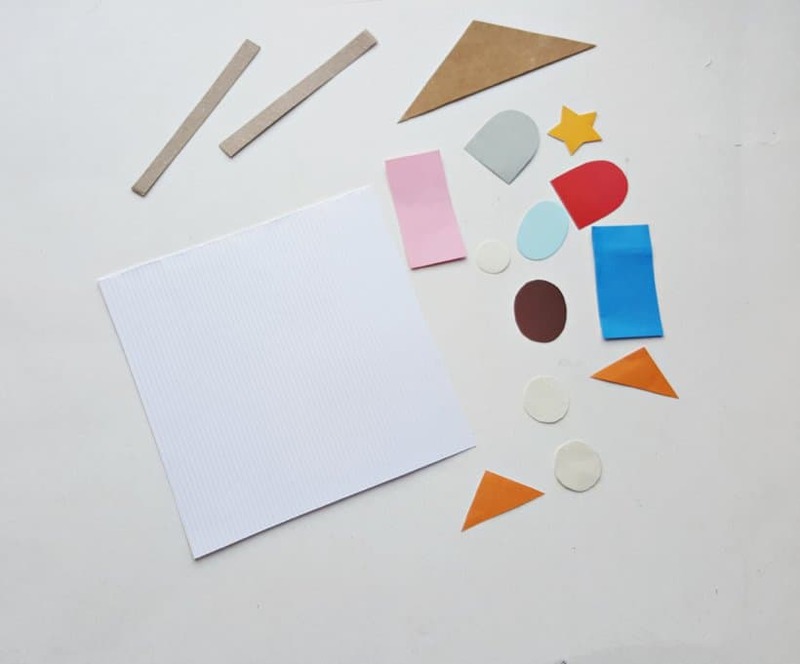 Prepare the shapes from the given template by printing and cutting them out. 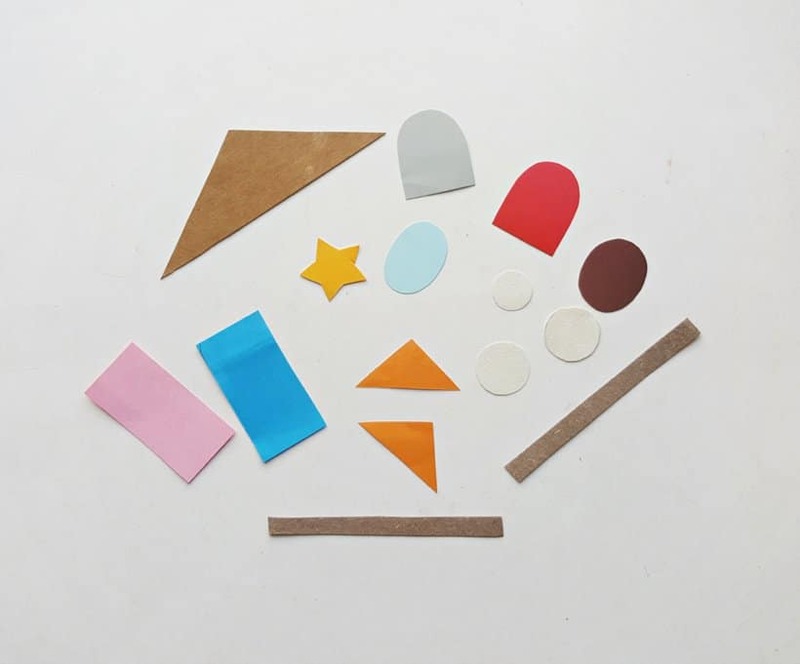 Trace the shapes on the selected craft papers and cut them out. 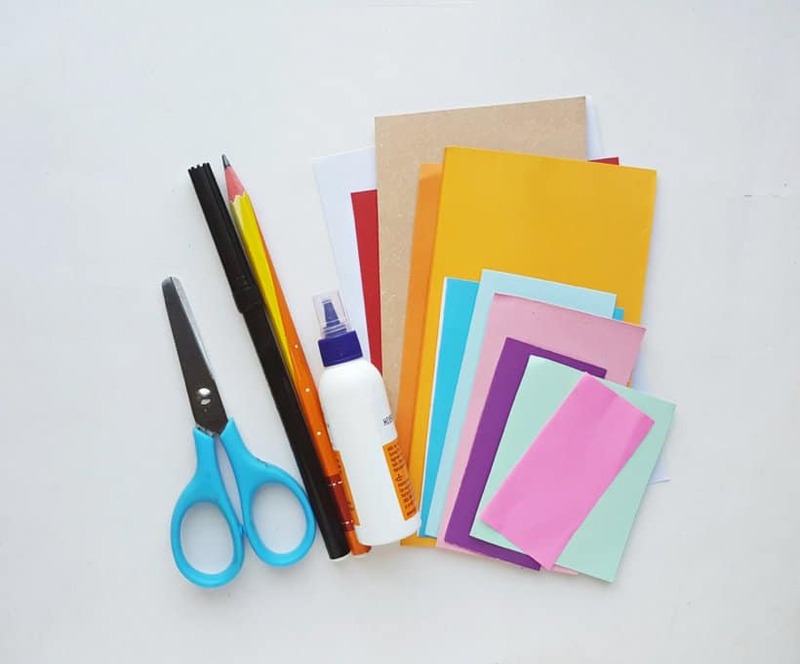 Prepare a white stationary paper or craft paper for the canvas. Glue the roof (big triangle) on the top side of the canvas. Glue the star on the top end of the roof. 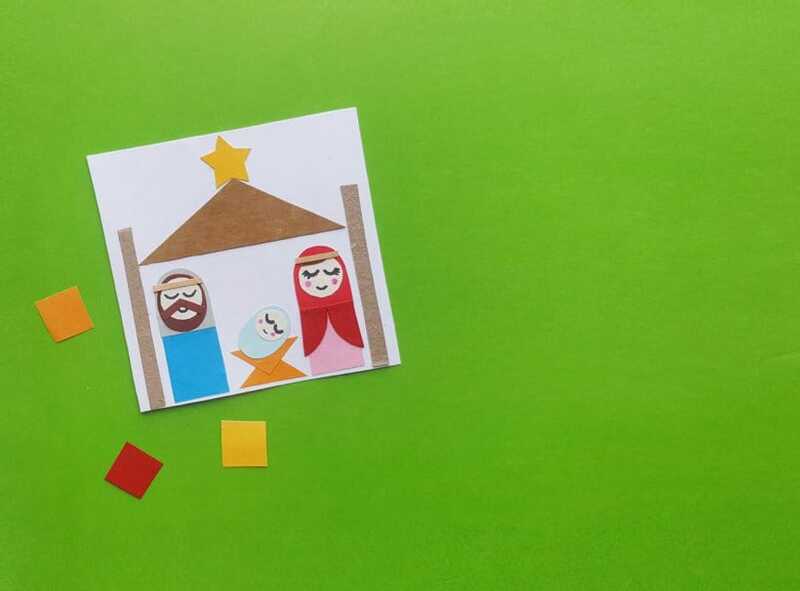 Take the 2 big rectangles from the shapes for Joseph and Mary. 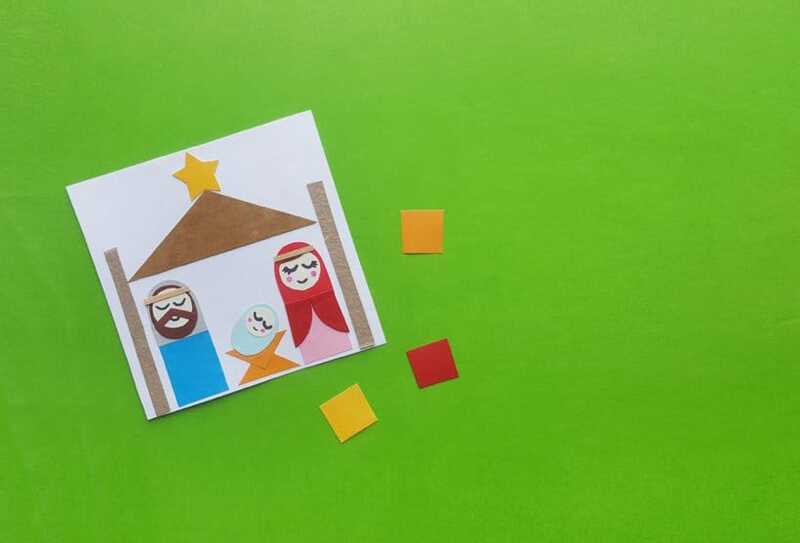 Glue the 2 rectangles on 2 sides of the canvas, keeping enough space between them to place Baby Jesus. Attach the 2 arch shapes on the top side of the 2 rectangles. 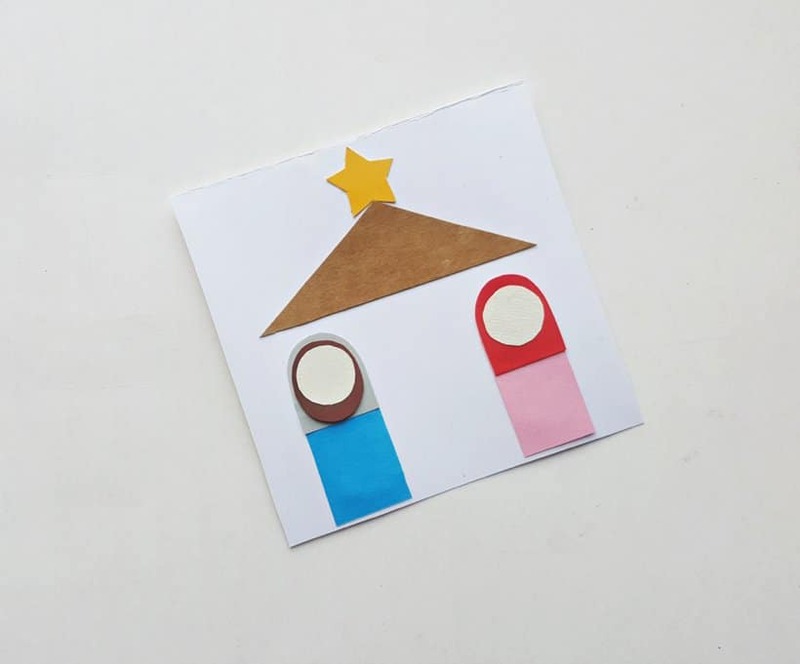 Attach the round shape on the top side of the arch shape of the Mary shape art. For the Joseph shape art, attach the oval shape on the arch shape first and then attach the round shape on the oval shape. 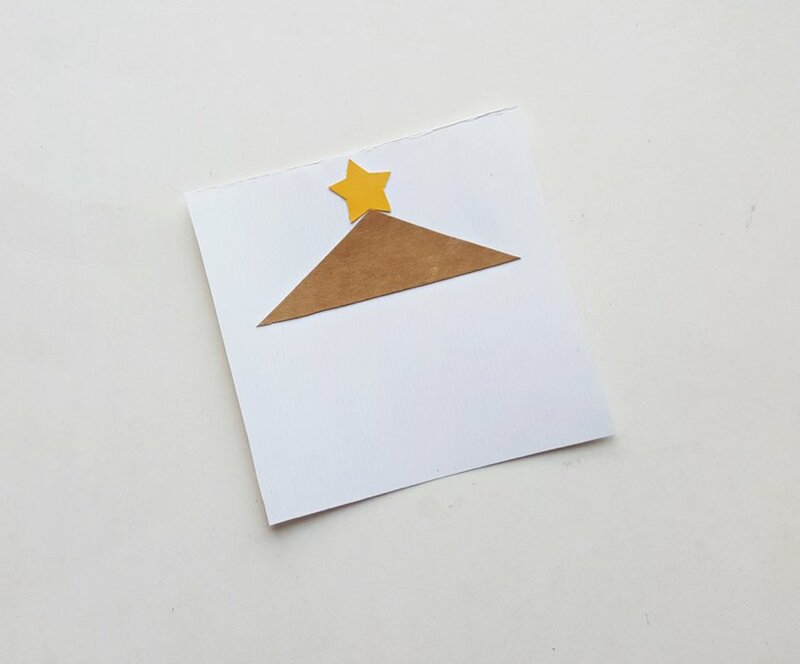 Take the 2 triangles from the manger pattern and attach them between Joseph and Mary shape art, keeping the straight end of any 1 triangle along the bottom side of the canvas and overlapping 1cm of the other triangle but keeping its straight side facing upwards. Now take the Baby Jesus shapes and attach it on the manger. 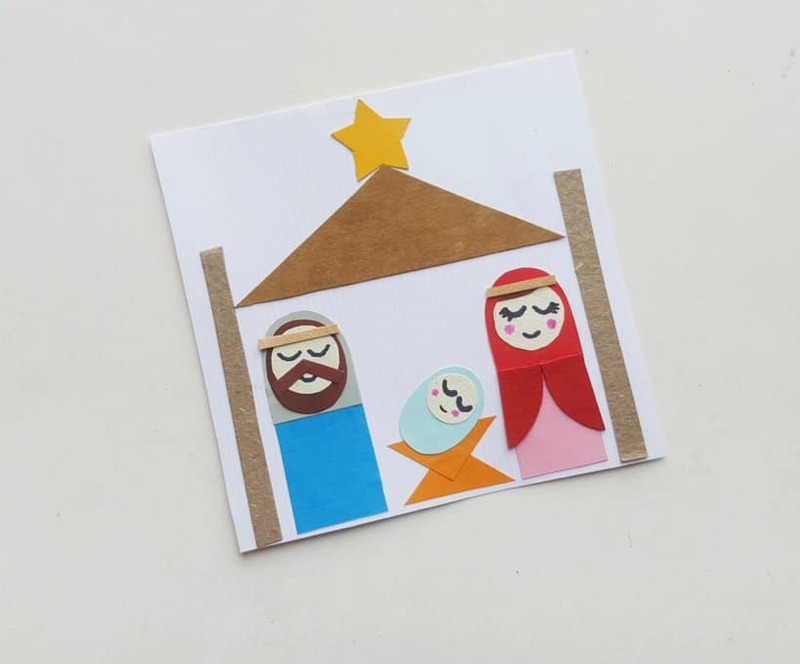 Use a black marker to draw the faces of Joseph, Mary and Baby Jesus. 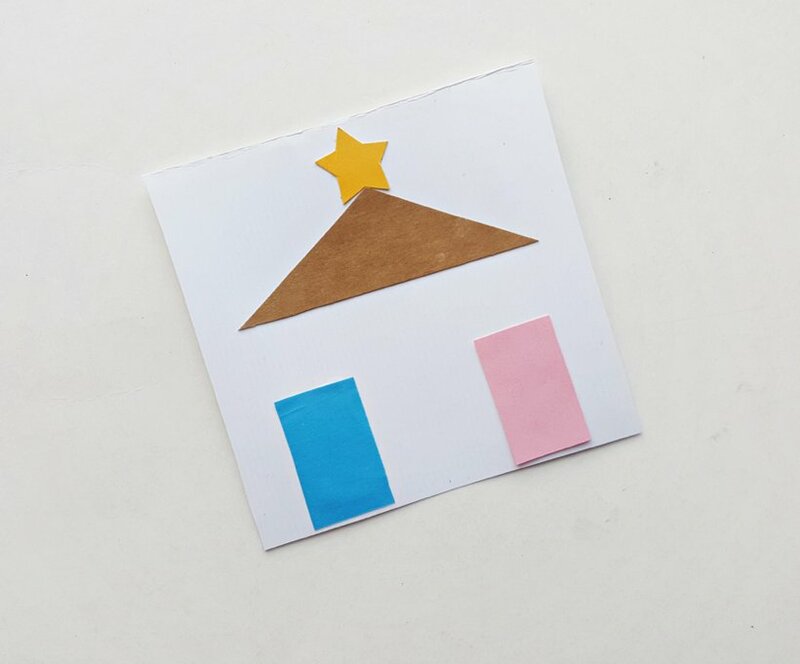 Grab the semi circular shapes from the template for Mary and the 2 strips (headbands). 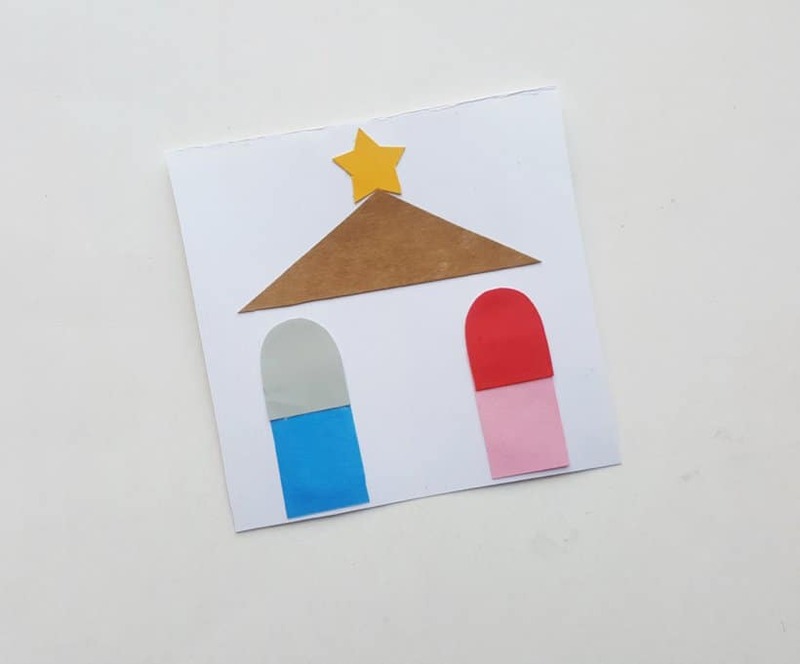 Attach the headbands on the top side of the head of Joseph and Mary. 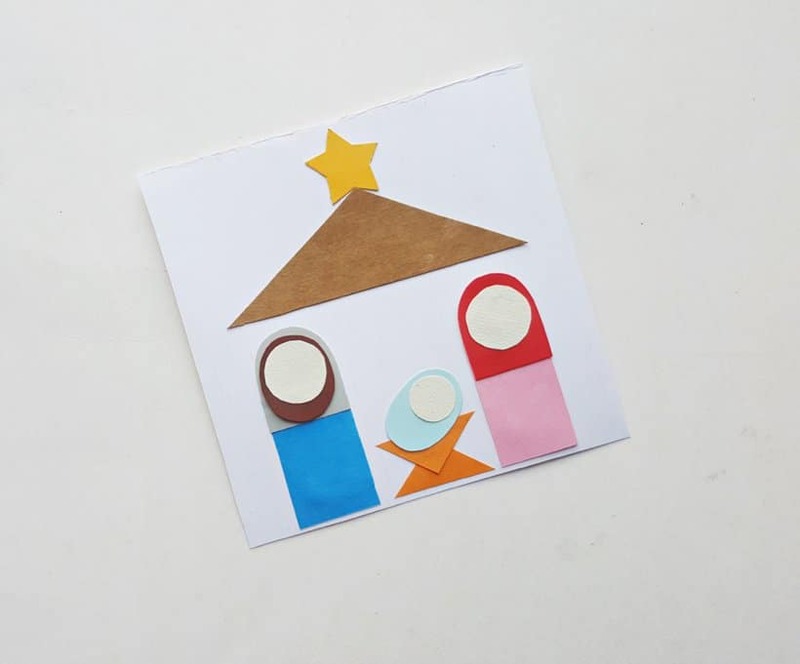 Attach the semi circular shapes to complete the Mary shape art. Mix and match different colored craft papers for variation. I just love this craft! 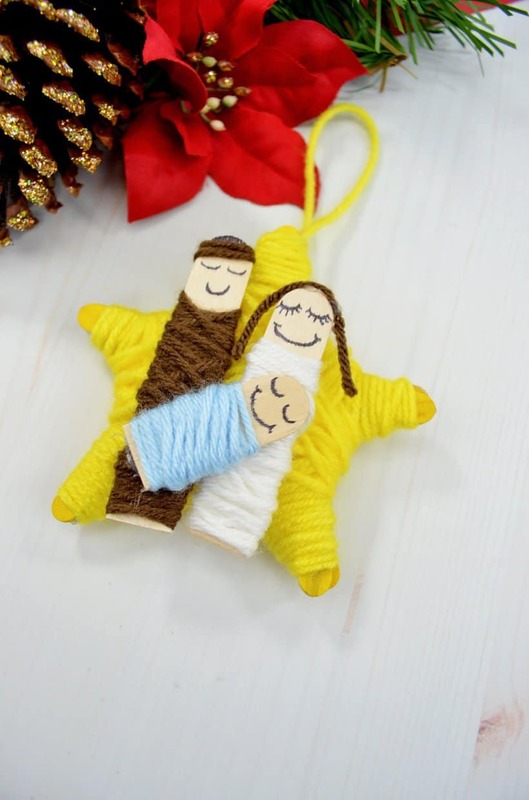 If you love making nativity crafts with your kids, be sure to check out this yarn wrapped nativity ornament.